Sounding Out Spaces is an ongoing exploration into the idea of site-responsive sonic art, which examines relationships between the environment (in a broad sense), living things, and sound. Specifically, context-based performances and installations are developed that occur in response to a particular location or space, taking into account both material, physical, and acoustic phenomena, as well as social-cultural histories, and perhaps imagined or poetic connections. The sites involved so far range from retired industrial structures and visually stimulating landscapes, to architecture with unique acoustic properties, natural environments, and places of cultural or historical significance. Sounding Out Spaces explores how we can use digital means to participate directly in our environment, leading to novel and inclusive experiences. These ideas are developed through iterative practice. The series began in 2014 with a focus on guerrilla performance using portable analogue technologies, and has evolved to involve, most recently, large-scale public installations. The most recent work in this series focuses on developing transferable techniques and methodologies for both spontaneous and planned works. The series aims to imaginatively move beyond hierarchical presentations of (electronic) music, where audiences sit motionless, facing forwards, separated from performers on stage. In this latest iteration we explore the implications of an ecosystemic approach. We develop a methodology where the resulting sound is contingent not only on all agents involved and their organizational relationships, but also the environment and the effects of its perturbations on such a system. 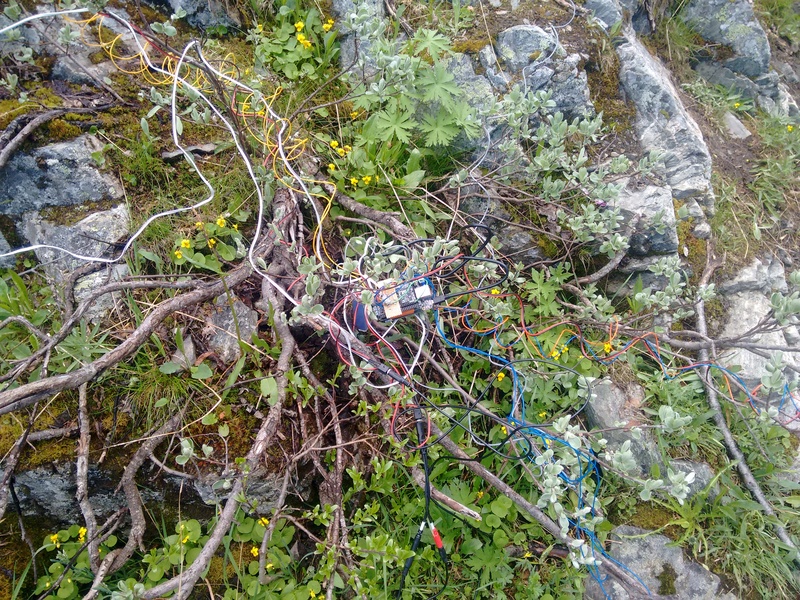 In this residency, we explored a system comprising portable and embeddable microcomputers running PureData, photocells, self-built hydrophones, loudspeakers, and anemometers. 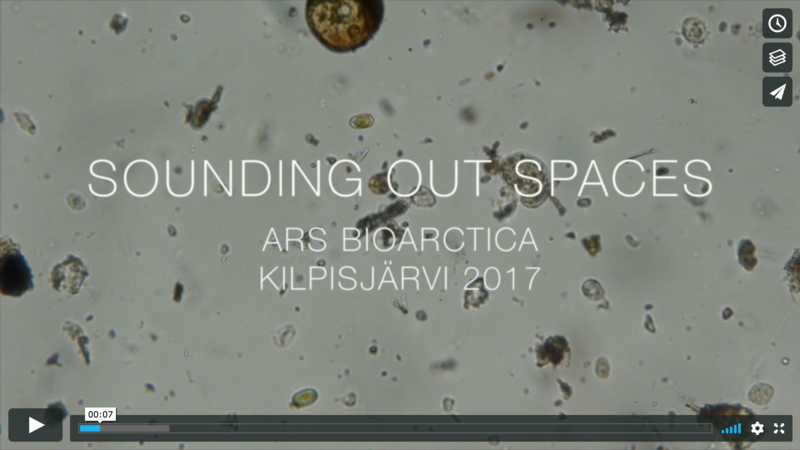 Sounding Out Spaces: SAANA from ElleEsAich; on Vimeo. Although, of course, some compositional decisions are made within the coding, the aesthetic content is based purely on sound picked up in the environment from microphones. There are no samples or pre-recorded sounds used. Working with coded adaptive filters and audio feedback, an emergent music continuously changes over time, in response to environmental factors. The sound is neither edited nor improved for public dissemination after the fact, and the two videos presented here are only documentation of the events that passed. We do not attempt to hide our human intervention in the environment or in the recording process, and we juxtapose sound and visuals from different times of day to enforce the idea that the work exists only in the direct participation at these sites. 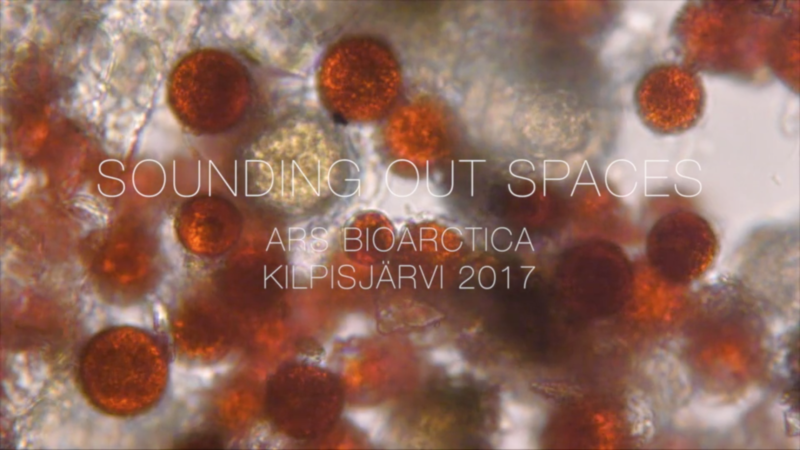 Sounding Out Spaces: KITSIPUTOUS from ElleEsAich on Vimeo.